Four mutual fund companies have marked down their investments in Uber Technologies Inc by as much as 15 percent following the ride-hailing company's scandal-ridden year, the Wall Street Journal reported on Tuesday. Three of the investors, Vanguard Group, Principal Funds and Hartford Funds, all marked down their shares by 15 percent to $41.46 a share for the quarter ended June 30, according to the fund companies' latest disclosure documents, the Journal reported. 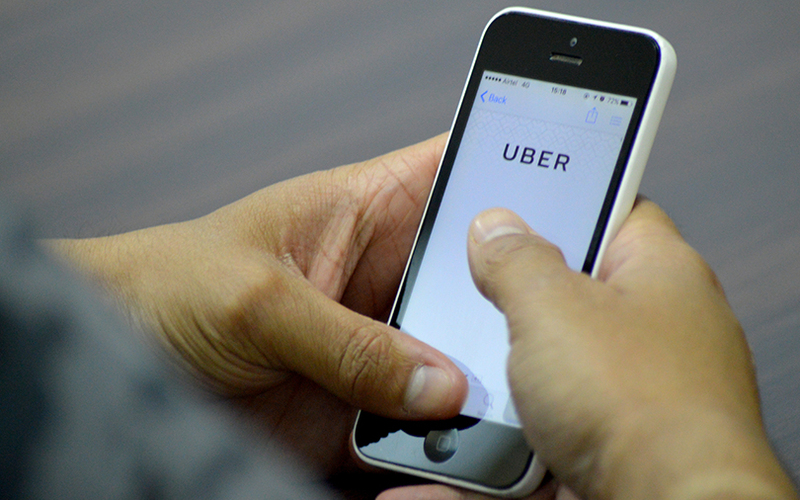 A fourth investor, T. Rowe Price Group Inc, cut the estimated price of its Uber shares by about 12 percent to $42.70. Another investor, Fidelity Investments, maintained its estimate of $48.77 as of June 30, WSJ said. Vanguard spokeswoman Arianna Stefanoni Sherlock confirmed in an email to Reuters that the fund had reduced its valuation for Uber, without giving more details. Representatives of the other four funds and Uber could not be reached immediately for comment. Uber has suffered a series of setbacks in recent months, including a federal probe into its use of technology to evade regulators in certain cities and a trade secrets lawsuit filed by Alphabet Inc's self-driving unit, Waymo. In addition, chief executive Travis Kalanick resigned, pressured by accounts of a culture of sexism and bullying at Uber. The ride-hailing company grew to a valuation of $68 billion in seven years amid non-stop controversy. It has upended the tightly regulated taxi industry in many countries and changed the transportation landscape.